GCA's gun trigger calibration system lets its operator precisely adjust a trigger's sear engagement and check trigger pull-force. 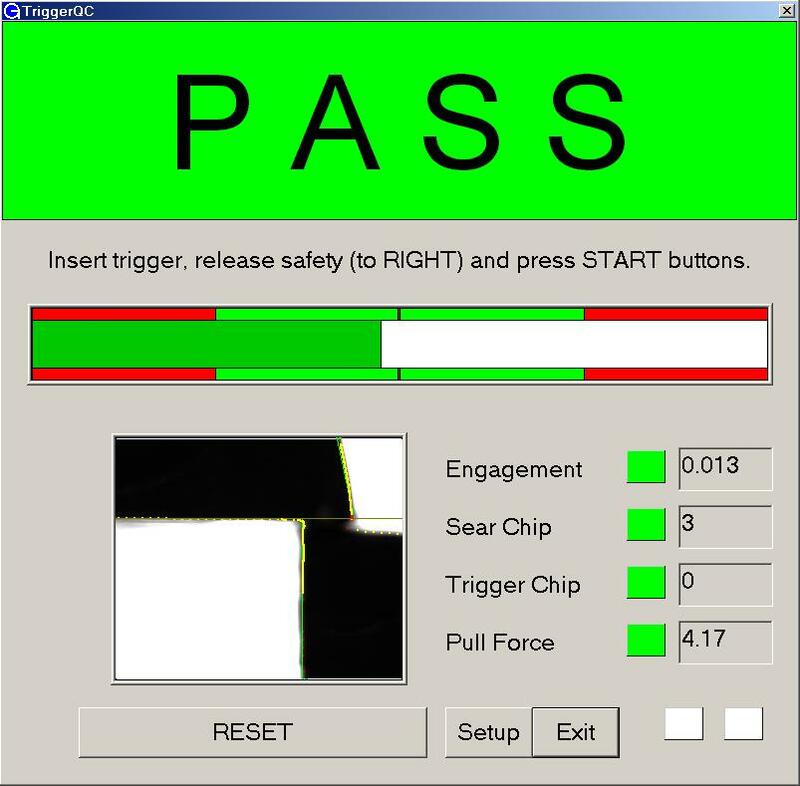 A vision system captures magnified images of the trigger-sear engagement area in real time and displays them in a window on the computer screen. A counter constantly displays the amount of engagement in ten-thousandths of an inch while a bar graph illustrates it in relation to its ideal value. 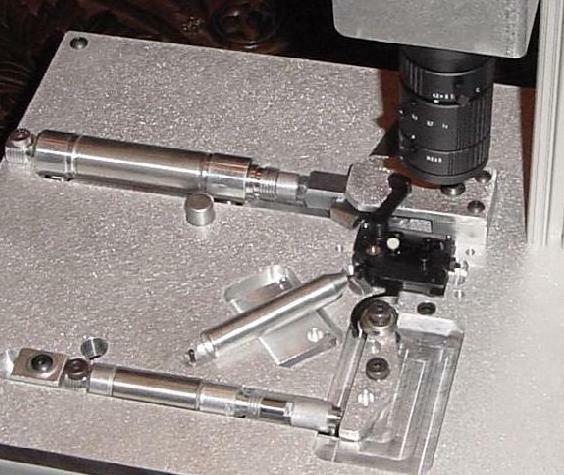 By turning the trigger's adjustment screw until the bar graph on the screen is centered in the green area, calibration of each trigger assembly is achieved without human variation or error. The system then mechanically fires the trigger to automatically verify that the trigger pull-force at the instant of firing is within acceptable limits. Calibration of each trigger takes under 30 seconds, and use of the machine does not require any special skills.